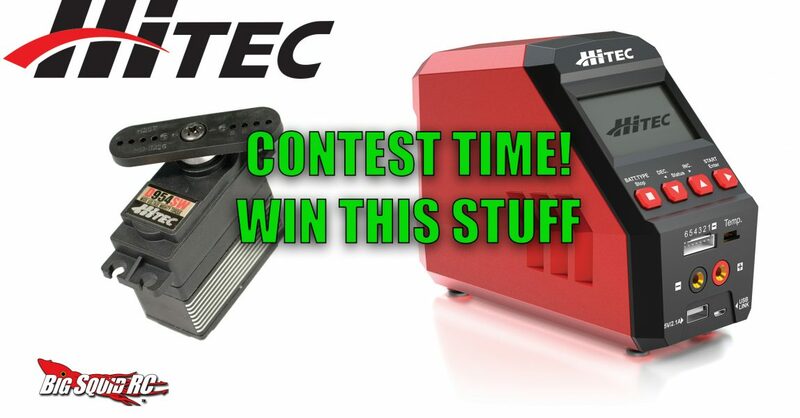 Win a RDX1 Pro or D954-SW Servo! Hitec Giveaway « Big Squid RC – RC Car and Truck News, Reviews, Videos, and More! It’s seems like forever since we have done a giveaway so we thought, lets get one in before March Bash-ness ends! 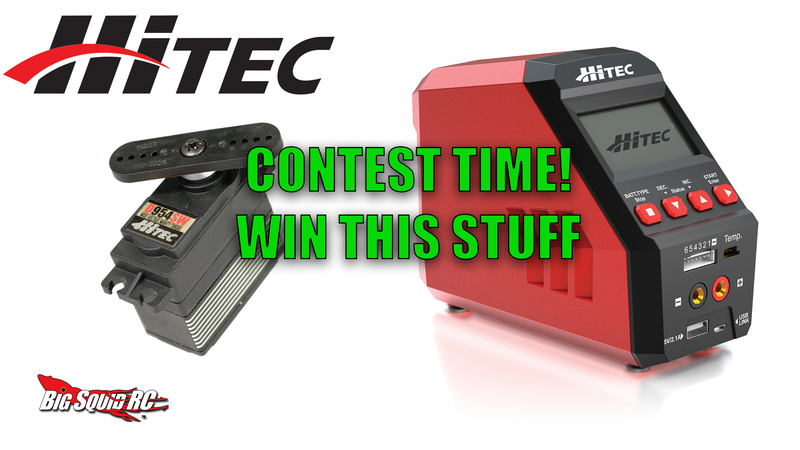 With the amazing support from Hitec we are giving away a RDX1 Pro Charger and a D954-SW Servo! We are also going to throw some Big Squid RC swag to the winners as well! Since we believe in spreading the love, we are going to draw one name for the charger, and one name for the servo. You have from now till 4/10/2019 and Midnight CST to get entries. Yes you can score multiple entries! There are a couple things you can do each day to get more entries, so make sure you come back each day. Please note, you will not get to choose if you get the servo or the charger, we want to keep it simple, the first name the random number generator picks gets the charger, the second the servo. We will also throw in some Big Squid RC stickers and shirts! Once the software chooses a winner, you will have 48 hours to respond. We will announce the winners within 24 hours after the entries close. If we do not hear back from you, we will choose another random winner. We highly recommend using an actual email you will check once in a while. Time to score some entries! Special thanks to Hitec for the prizes in the giveaway! Please check out their site, or Click Here to read more Hitec news on BigSquidRC.